Shop for The Best Kitchen Appliance Deals! Rice is the most widely consumed staple food for a large part of the world’s human population, especially in Asia. It is the agricultural commodity with the third-highest worldwide production, after sugarcane and maize. Rice is known to be very popular in Asian countries because it’s just been around there for a longer time. Chinese society has existed for thousands of years, much longer than most countries and rice has been available in Asia for just about the same amount of time, around 15000 years some claim. This is the reason why Asian cuisines have a huge variety of rice recipes and dishes because people have been eating it for thousands of years. Once people started to migrate away from Asia, rice started to spread across the Middle East and the Southern parts of Europe. There are numerous varieties of cultivated rice across the world. But the exact figure is uncertain. Over 90,000 samples of cultivated rice and wild species are stored at the International Rice Gene Bank and these are used by researchers all over the world. There are many varieties of rice available which vary in size, color, and texture. There is white, brown, red and black rice that have different nutritional benefits and each is used in its own way based on the region where it is available. For example, in preparing most biryani and pulao preparations, basmati rice is commonly used. For south Indian style variety rice, mostly raw rice or boiled rice is used. Long-grain rice, as the name suggests, are grains that are long and slim. When cooked, the grains tend to remain separate, and the finished result is usually dry and firm. Most long grain rice is in a polished white form, although brown long-grain rice is also available. This particular variety of rice can be found in various parts of the world. For example, Patna rice comes from Asia; Carolina rice, which is slightly chunkier in appearance, is from North America. Generally long and slender, the grains stay dry, separate, and fluffy after cooking, so it is the right choice for most savory uses. Perfect as a plain accompaniment or a bed for sauces. Great in rice salads, Indian and Middle Eastern pilafs, and Mediterranean soups. This is another type of long-grain rice. With very long, slim grains, basmati rice has excellent cooking qualities and a full flavor. It is grown only in northern India and Pakistan, and no other rice can be labeled as basmati. It also comes in a whole grain form, which tends to be lighter and quicker to cook than other brown rice. The extra nutritional advantage of basmati rice is that it scores low on the Glycemic Index (i.e. its carbohydrate content is absorbed less quickly into the bloodstream than other types of rice, and thus it helps to keep blood glucose levels stable). Basmati rice should be rinsed before cooking to get rid of the starchy powder left over from milling. It should be cooked by the absorption method to retain its warm aroma and taste. Also known as Thai fragrant rice, this is grown in eastern Asia. It has a slight perfume when cooked, but it is softer and a little clingier than basmati once cooked. Jasmine is the perfect accompaniment for Southeast Asian food. It should be cooked by the absorption method to preserve its aroma and taste. It’s slightly stickier than other long-grain rice. It marries well with other Asian foods and is the rice to use in Thai cookery. This is known to be a whole grain rice with a brown outer skin. It also has a nutty flavor and slightly chewy texture. The Brown rice retains the high-fiber, nutritious bran coating that’s removed from white rice when hulled. The light brown color of brown rice is caused by the presence of bran layers which are rich in minerals and vitamins, especially the B-complex group. It takes longer to cook than white rice and has a chewier texture. Once cooked, the long grains stay separate, while the short grains are soft and stickier. A short-grain rice, this is usually soaked and then cooked by the absorption method. This rice contains a starchy substance called amylopectin, which causes stickiness. After cooking, the individual grains cling together, which is why these rice are used in dishes where a creamy or sticky texture is wanted, such as risottos and puddings. Once cooled, it is flavored with sweetened rice vinegar and rolled up in nori seaweed with other ingredients such as raw fish or vegetables to make sushi. It is the stickiness of the rice which holds the sushi rolls together. Sometimes called converted rice or processed rice, this is whole grain rice that is soaked, steamed and dried before milling and polishing. The process forces the vitamins and minerals into the center of the grain so that more are retained than in ordinary white rice. The color of this rice is more golden than other white rice and it takes a little longer to cook. Even with over-cooking, the grains will remain separate. Also called easy-cook rice, this shouldn’t be confused with parboiled rice. Quick-cook rice is part-cooked after milling and then dried, so that when you cook it, it takes about half the time of ordinary long-grain rice. Quick-cook rice has lost most of its nutrients, especially the water-soluble B vitamins, because of this double-cook process. With its low starch content and long, slender grains, basmati rice takes beautifully to the pilaf method, which allows for maximum expansion of the grains as they cook up light and separate. Washing and soaking the grains before cooking makes the rice even less starchy, helping you achieve perfect single-grained and fluffy results. Pilaf method basics: With the pilaf method, the rice is first sautéed in oil along with aromatics and spices. Then a measured amount of liquid is added, the mixture is brought to a simmer, covered, and left to cook until the rice absorbs the liquid. Cooking brown rice by the pasta method is quick and results in tender, separate grains with a nice chewy bite, instead of mushy, split-open kernels that often result when this variety is cooked in a covered pot. Unlike white rice, brown rice kernels still have their bran layer and germ intact, so they have a nutty, grainy character and are rich in complete proteins, minerals, and vitamins. The germ contains some oil, so to avoid rancidity, buy in small quantities and store it in the fridge. Pasta method basics: Like pasta, the raw rice goes into a large pot of boiling water and cooks uncovered. When the grains reach the desired tenderness, the water gets poured off. When cooked using the absorption method, medium-grain rice yields a tender, starchy, slightly creamy kernel that’s ideal for saucy rice dishes like the Mexican Tomato Rice & Beans at right. This method also ensures that the valuable fortified nutrients remain in the pot with the rice. Absorption method basics: The rice cooks in a measured amount of water in a tightly covered pot so that by the time the rice is tender, all the water has been absorbed. As the water level drops, trapped steam finishes the cooking. Instead of a pot, you can use a rice cooker; just follow the manufacturer’s directions. As we have mentioned above, rice is prepared in many different ways, but to prepare the “perfect rice” always requires a different approach and skill level. Perfect rice must be tender but certainly not mushy. The grains of the rice must be separated rather than being all stuck together. This is why, more times than not, people become discouraged when trying to prepare it at home regardless of whether they do it on the stove top or oven. That is why Rice Cookers come quite handy. 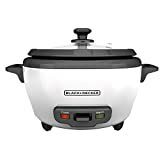 So discover the right Rice Cooker today by clicking here right now. XXXX. Various rice varieties can be properly cooked with different settings due to the variance in their water absorbing capacity, temperature requirement, fiber content, etc. 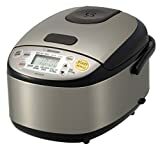 For example, brown rice is much higher in fiber than white rice, so you may not simply use the “white rice” settings on the rice cooker for brown rice else the rice will not come out fluffy and tender. 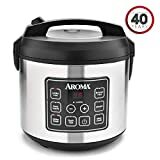 So due to these reasons, many sophisticated rice cookers manufacturers have worked hard to remove every guess work involved in cooking rice. They now come with ideal settings for cooking each variety. On the cooker, you will find all available settings on it. This functionality makes rice cookers the best kitchen appliance deal. This appliance makes it very easy as it will prepare each and every grain to absolute perfection, without being too firm or soft and without ever sticking. Also, rice cookers can be used to prepare Quinoa and Oatmeal seamlessly. Now, maybe you’re asking yourself, what are the benefits of using a rice cooker? A cooker is very convenient, as you can turn it on when leaving your home and have your rice ready to eat when you return later. And, because it has an inbuilt timer, you won’t need to worry about running back home to shut it off so it won’t boil over. Another feature included on some of the better quality rice cookers is the “warmer” setting. This allows the appliance to keep the rice warm long after it has finished cooking and it’s in various sizes, small, normal and the gigantic sizes. 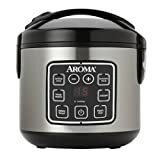 The small cooker is the best rice cooker for one person. Some, also have separate functions for cooking brown rice, white rice, oatmeal, jasmine rice, sushi rice and other varieties perfectly. 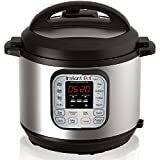 So, in order to get the best rice cooker deal with sophisticated functionality, you can go on the internet to read rice cooker reviews, comments, and complaints about almost every model. Also, check the material (Non-Teflon), the indicator lights, and safety features. Remember that aluminum, stainless steel, and copper pots are not suitable for induction cookers. Clear glass lids are ideal if you want to monitor the cooking after which you can now start to enjoy various rice recipes. Generally, reading kitchen appliance reviews is the best place to start before making investments. There are different types and sources of kitchen appliance reviews that will offer a big picture. 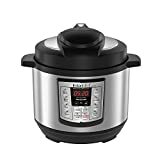 Many sites offer expert kitchen appliance reviews, which look at most products from a technical point of view from which you will know the best kitchen appliance brand to go for. They can you provide potential insights for home appliance insurance, and how easy it is to find a service center, and what it will take to install and use the product. The owner of this website, ____your_site_name____, is a participant in the Amazon Services LLC Associates Program, an affiliate advertising program designed to provide a means for sites to earn advertising fees by advertising and linking ____your_site_name____ Review to Amazon properties including, but not limited to, amazon.com, endless.com, myhabit.com, smallparts.com, or amazonwireless.com. © 2019 Copyright The Home Appliances Institute.Com. All Rights Reserved.